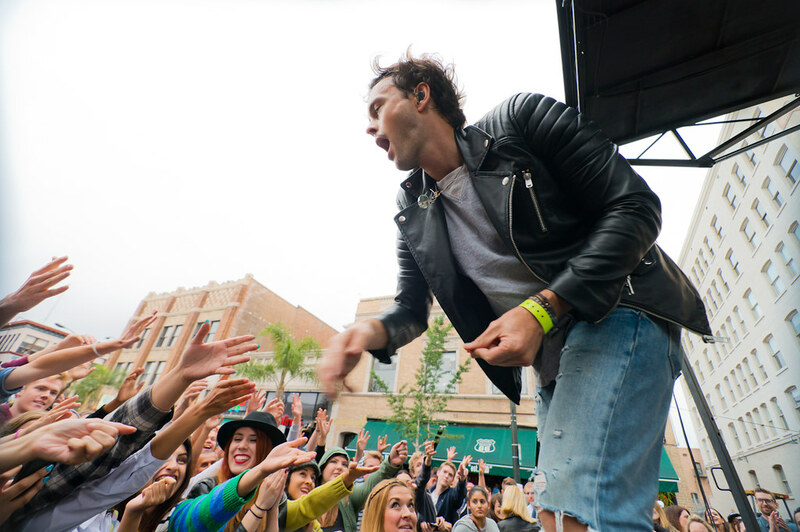 Light drizzle didn't dampen the 9th Annual Make Music Pasadena last weekend. 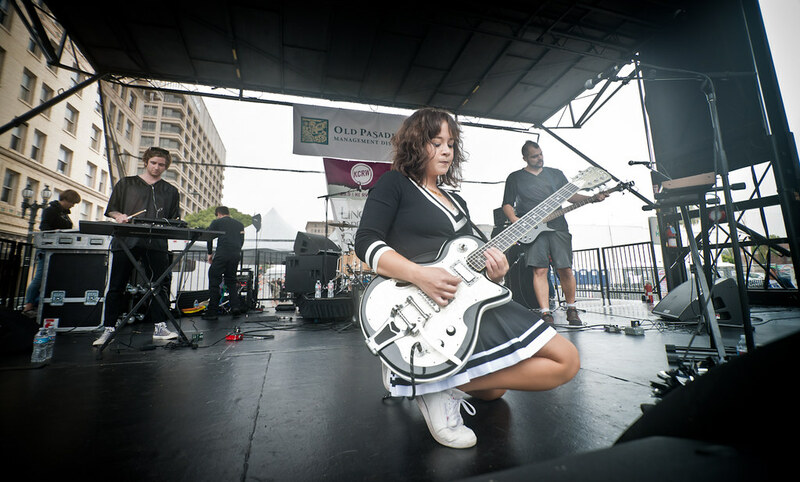 An expected 50,000 were expected to show up to this free all day music fest held in 30 venues with 150 performances but judging by the crowds, it seemed like business as usual as fans came out to see their favorite bands and discover new ones as well. 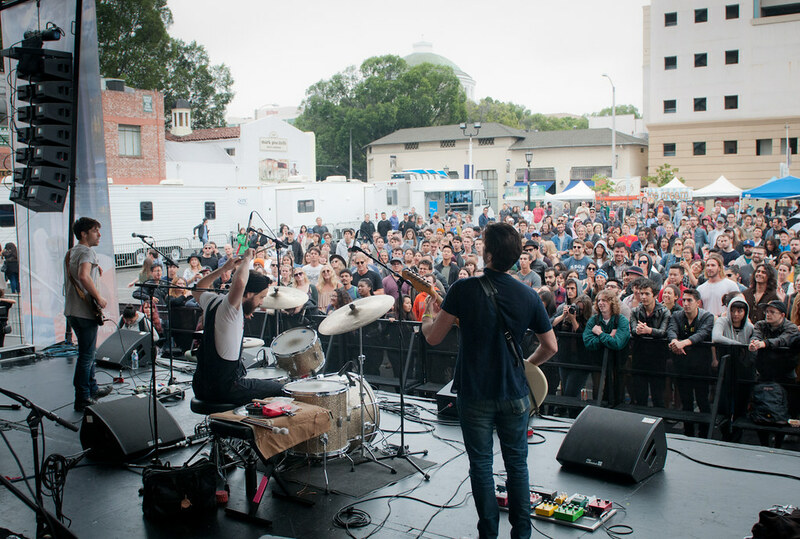 The Old Pasadena Colorado Main Stage hosted a healthy mix of electric, pop, rock and new wave. 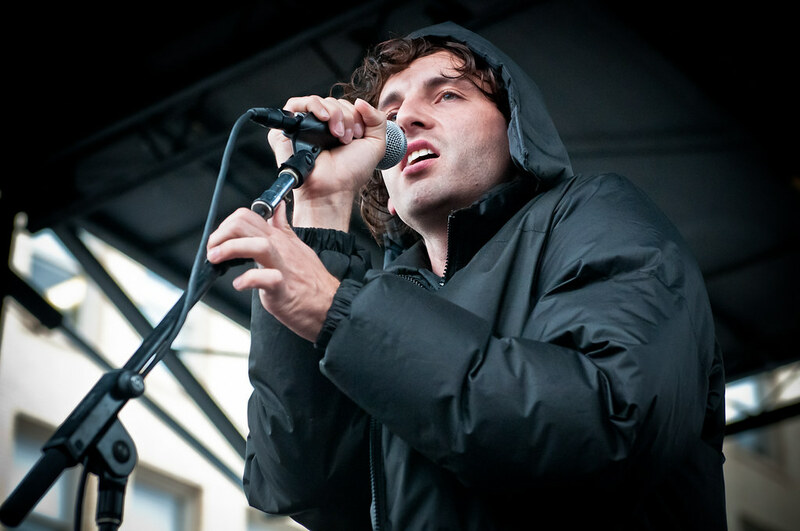 Australia's Atlas Genius headlined the festival with a bustling set and even got the crowds dancing and hopping up and down towards the end of their set while The Mowgli's pop-rock-folk added the sunshine this festival needed with their style of pop-rock. When they played, it's as though everyone forgot that Pasadena was experiencing rain throughout the day. 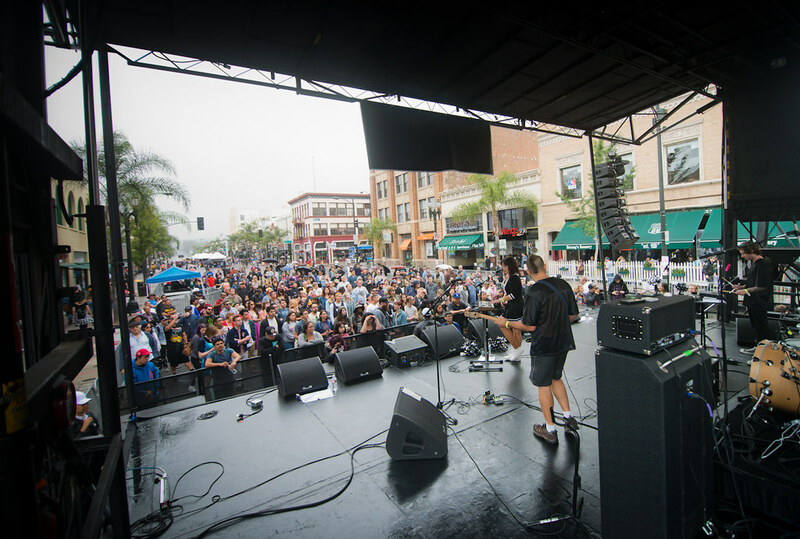 What makes Make Music Pasadena great is the many genres of music played throughout the many venues around downtown Pasadena such as psych-pop played by LA based James Supercave and electronica by Pr0files - both on the main stage. 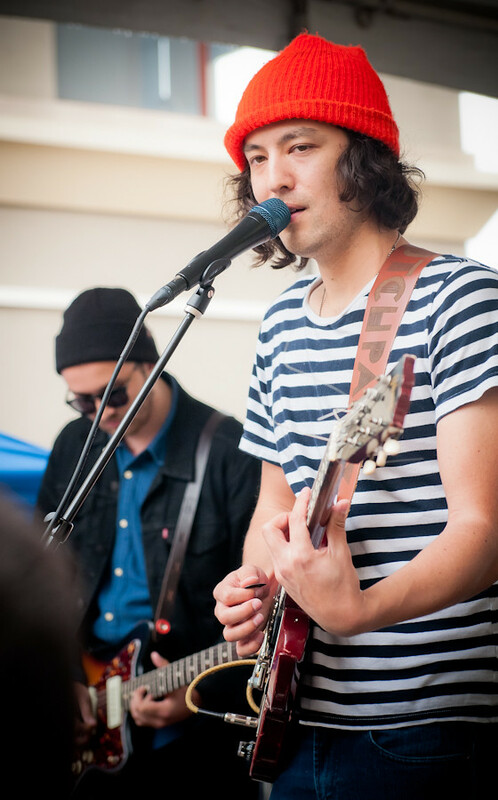 Dead Ships, who recently was hand-picked to play this year's Coachella, brought their indie garage sound to the main stage. 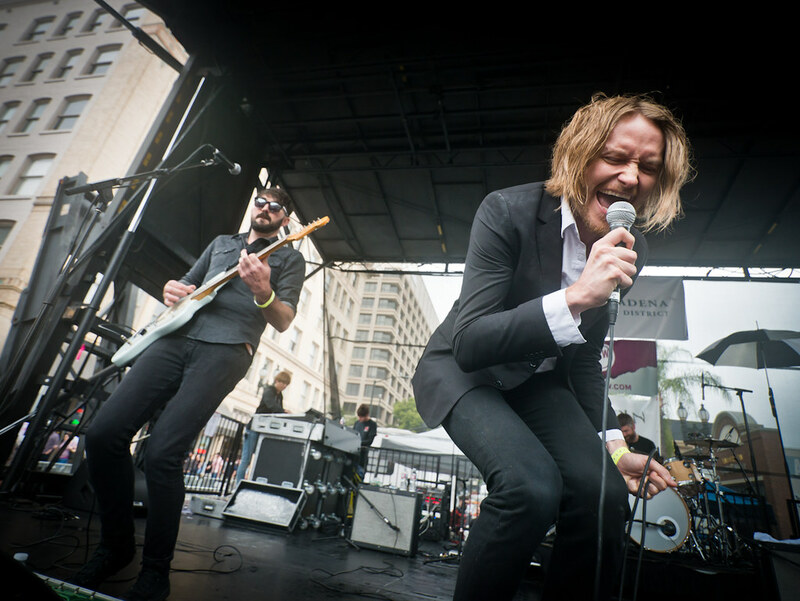 Named by music tastemakers as one of LA's best live bands, Dead Ships, consisting of vocalist/guitarist Devlin McCluskey, drummer Christopher Spindelilus, and bassist Alex Moore proved that with their rousing performance on Pasadena's Main Stage. Dead Ships are readying the release of their debut studio album CITYCIDE which was produced by Broken Social Scene's Brendan Canning and drops June 24th via the Nevado Music label. L.A. Girlfriend post-punk electric homecoming complete with dancing cheerleaders brought out some edge and fun during this June gloom day. 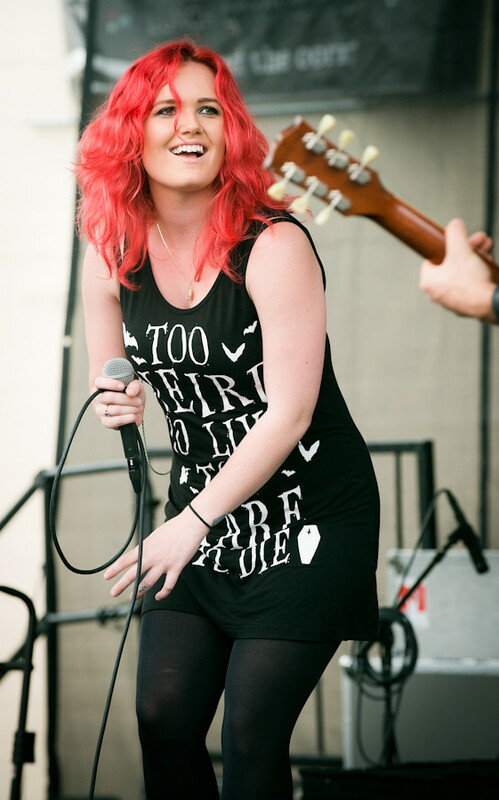 The morning began with a wake up call in the form of Evol Walks at the Playhouse District Main Stage. 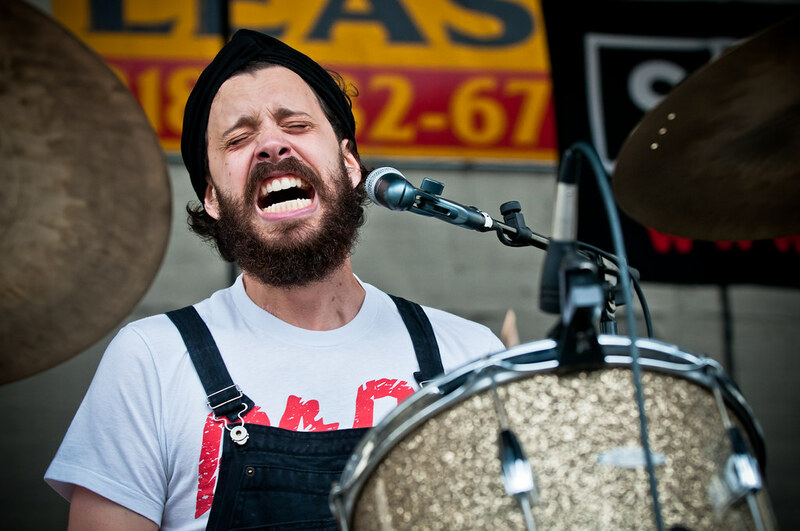 Like a starter gun, their hard rock was a great opening to the annual festival in downtown Pasadena while Papa's indie-rock and singing-drummer Darren Weiss performed an intense and raucous show in front of a large crowd. Over a the outdoor mall at the Paseo Colorado Main Stage was Los Angeles locals The Dutch Party and The Fontaines - both performing some of my favorite sets of the day. The Fontaines' vintage self-branded new-wop sound was my favorite find of the day. Fontaines, the Los Angeles band made up of siblings Hank and Charlotte Fontaine was my favorite find of the day with their self-branded new-wop sound. 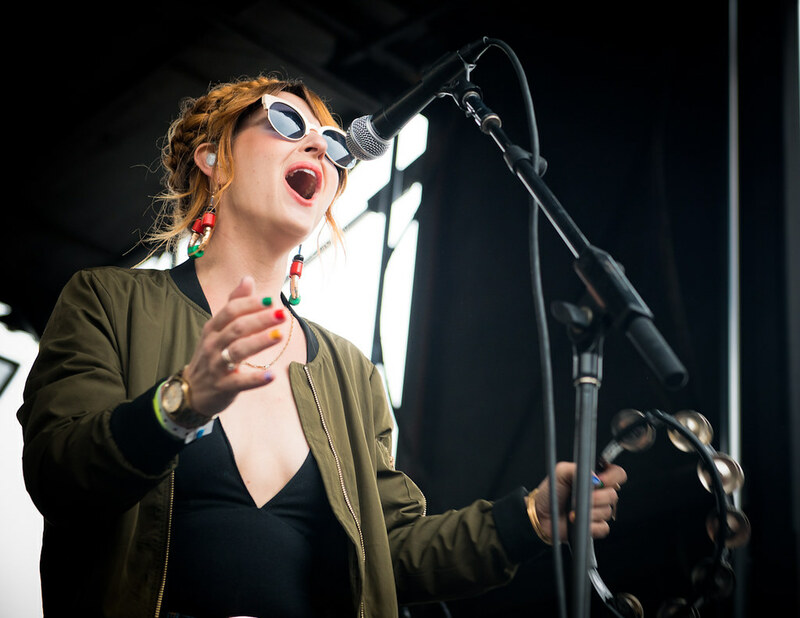 With the day's mostly silver, grey skies, Dutch Party seized the day with the sun-kissed, warm indie-pop to an otherwise willing crowd ready to dance and have fun. My day ended at The Shoppes at STATS Stage right a few blocks south of the Main Stage where I got to relax to the soothing tunes of Zach + Bridget. Performing under a soft glow amid a music crowd sipping wine with cheese, Zach and Bridget delivered a soft yet modern Americana style that's both refreshing and classic. 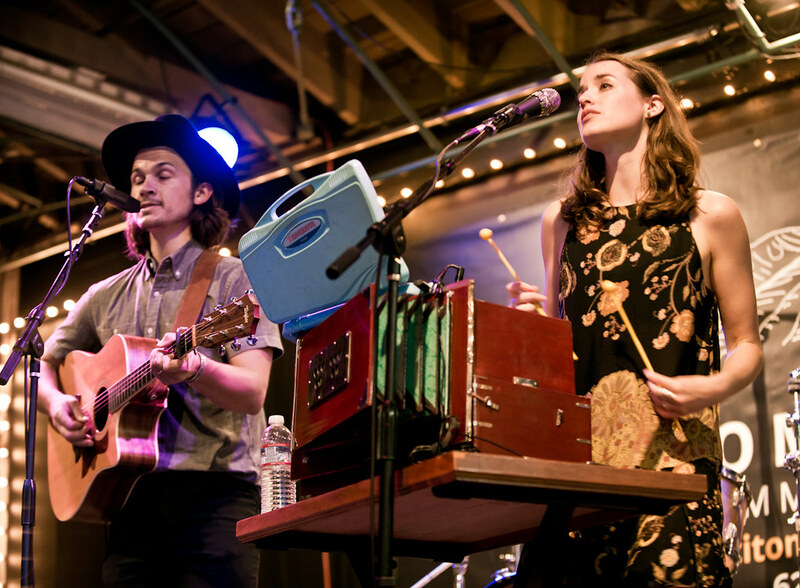 Not only did they perform, Zach + Bridget curated an all acoustic schedule at the STATS Stage where they invited friends such as The Americans, The Lemon Trees, Valley Queen, Laura Jean Anderson and Austin McCutchen to name a few.